As the fourth musketeer, as it were, I want to say something slightly different about why I think this amendment is not just important but critical. On 6 December last year, on the fifth day in Committee, Lady Hermon, the honourable Member for North Down, spoke about the key principles of the Belfast agreement in an amendment almost identical to this one. When the Parliamentary Under-Secretary of State for Exiting the EU, Mr Robin Walker, responded, he kept talking about the agreement, the commitment to the agreement, and the way the agreement was backed up. Lady Hermon came back to him saying that the issue was not the agreement but the principles, and he really did not seem to get it, because he kept coming back to saying that they were committed to the agreement and would ensure that the agreement was there. I want to say why I would go even further than the noble Lord, Lord Patten of Barnes, in saying that it is not just a question of whether this would be a problem or harmful but why this is absolutely essential not that the precise wording of all the amendment is included, but that the principles of the Belfast agreement are included. I shall explain why. We have had many decades of trying to get agreements in Northern Ireland. We have had them before, and they did not work as a peace process, because they did not address the key disturbed historic relationships in these islands. In many ways, this was the understanding that the European project stepped out with, with Monnet, Schuman, Adenauer and so on. They understood that it was the relationships between the different countries and communities that were essential—and, as we know, the whole complicated edifice was created in which there could be co-operation. One frustration for me is that colleagues who, like myself, are committed to remain, have failed to address the question of why, after 40 years, one of the parties is seeking divorce and many others are very uncertain about whether they want to stick with it. My own view is that, as time went on and we moved from the first generation of those who were committed to those who were there later; we moved from the things that were put in place as the instruments to ensure the fundamental purpose of the project, which was to stop war and build relationships. The instruments were things such as the market, the common currency, and the opportunity for European political leaders to be at the top table of global affairs. Those instruments became the purpose of the exercise for many of those who were involved. When in any set of relationships the instruments of the relationship become a substitute for the purpose of the relationship, the relationship is already beginning to fail. My concern is about the commitment to the Belfast agreement, a legislative agreement with a commitment to certain kinds of constitutional and institutional matters and a commitment, as the noble Lord, Lord Patten, knows well, to changes in the administration of justice and changing policing—all the important things, including the things that are mentioned in the other amendment about human rights. Those things will not keep the relationships alive, if we forget that the relationships are the key issue. That is why I want to see the principles written into the Bill. When I was involved in the process, we came to a point of understanding this in a very long and painful way. Most of those with whom I was involved are no longer involved politically, or even around at all. As I look around, I see those political leaders who represent the three key relationships not understanding what it was about — the relationship between political leaders in Northern Ireland. We are a long way from the relationships between David Trimble, and Seamus Mallon, never mind those between Ian Paisley and Martin McGuinness. Let us not forget that Dr Paisley was not too keen about the Belfast agreement when it came out in the first instance. But the relationship between the political leaders in Northern Ireland does not have the same constructive engagement now. In the relationship between north and south, we are being pulled apart — sometimes by those who say that they want to unite the island. What about the relationship between London and Dublin, between the British and Irish Prime Ministers? Think back to the kind of relationship there was between John Major and Albert Reynolds, or between Tony Blair and Bertie Ahern. We do not have that kind of relationship in either direction. The European Union itself was the model and the inspiration; it was the container for the relationships that kept the British and Irish Governments together and working, so that when John Major and Albert Reynolds became Prime Ministers, they had already been Finance Ministers and worked together, and they said, “We know it’s impossible but we’re going to have a go”. And that’s the other thing I would say about it – if many of those in Brussels, and indeed in London and Dublin, who are saying that this and that is impossible had been around in Belfast 20 years ago, there would have been no Good Friday agreement, because they would have said, “It doesn’t fit in with our understandings of sovereignty”. Even on the rule of law, think of the people who would never have been let out of prison if others had simply stuck with the understanding of the rule of law as it was then. We had to be more adventurous and creative, just like you have to be in any relationship if it is to evolve, change, develop and, frankly, survive. When a Minister says, “But we are committed to the Belfast agreement”, I do not doubt that. Even when he or she says, “It’s implied in the legislation”, I do not disagree with that. But I do disagree with the idea that we do not have to put it in black and white, firmly and clearly, that the principles of the Belfast agreement and the relationship approach are critical and they need to be in the Bill. I have spent a lot of my life going to other parts of the world. I am not long back from Colombia, where they have a peace process; just before that I was in India, and in a week or so’s time I will be out in Peru. In all those places, they are not looking to the Northern Ireland arrangements and the Irish peace process because they want our particular constitution or institutions, or our way of dealing with policing and the administration of justice. They are looking at the underlying fundamental principle, which was our discovery, that these problems were ones of relationships — historic, disturbed relationships between communities of people — and that we had to find ways of addressing that creatively. Whatever kind of mechanisms we used, that was what it was about. As I look around at home, coming up to the 20th anniversary, I see a whole generation of young political leaders who do not get that. They think it is all just about doing politics, like people do everywhere, and it is not. 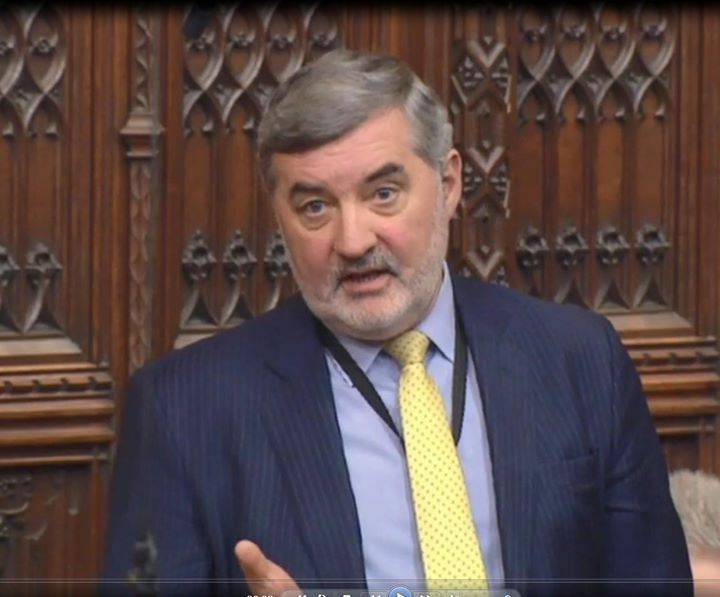 We need to put this into the Bill to make it absolutely clear to anyone who comes back to the question that, in the absence of that containing environment of the EU, which made it possible for us — I say that because it is very doubtful that we would have got the Belfast agreement without the context of the EU — we have to emphasise with even greater clarity than before the fundamental basis on which that agreement was reached. We have to hope and work and pray that we can find a way of maintaining those relationships and developing them through the stormy waters which undoubtedly lie ahead.